Mozilla has picked Yahoo to be the default search engine for its Firefox browser in the U.S., deposing Google in a new five-year partnership announced on Wednesday. Yahoo called the deal its most important partnership in five years, and said it will expand its reach in search. But it’s unclear how much the agreement will really lift Yahoo’s fortunes. Firefoxs share of the browser market has been in decline, and in the past year it slipped behind that of Google Chrome, according to figures from Net Applications. Microsoft's Internet Explorer is still way in front. On smartphones and tablets, a critical growth area for Yahoo, Firefox barely registers, with Chrome, Safari and the Android browser all dominant. 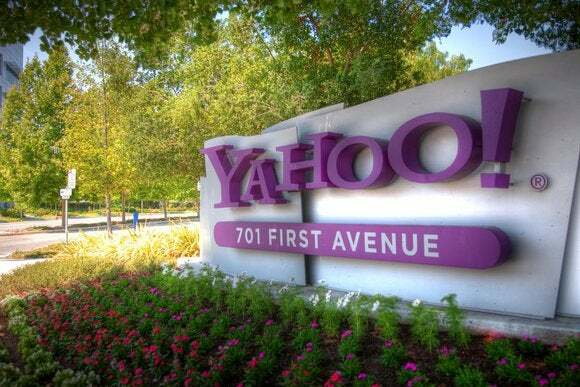 Still, the deal will put Yahoo’s search engine in front of more users and is a win against Google in that regard. Firefox users search the Web more than 100 billion times per year globally, the companies said. The deal also opens the door for other integrations with Mozilla in future, Yahoo said, though it didn’t provide details. “Our agreement [with Google] came up for renewal this year, and we took this as an opportunity to review our competitive strategy and explore our options,” Firefox said in a blog post. While Yahoo will be the default search engine for Firefox in the U.S., Yandex Search will become the default in Russia, and Baidu will continue to be the default in China, Mozilla said. Google, Bing, DuckDuckGo and other search tools will continue to be offered as options, it said. Google will continue to power the safe browsing and geolocation features of Firefox, Mozilla said. “In evaluating our search partnerships, our primary consideration was to ensure our strategy aligned with our values of choice and independence, and positions us to innovate and advance our mission in ways that best serve our users and the Web,” Mozilla said. It’s not difficult to change the default search tool in a web browser, but many users don’t bother, especially non-tech savvy ones, so having the default position is valuable. “This is the most significant partnership for Yahoo in five years and we’re so proud that Mozilla has chosen us as their long-term partner in search,” CEO Marissa Mayer wrote in a Tumblr post. Yahoo will also introduce an updated interface for its search tool with a “clean modern and immersive design,” it said. The new interface will reach Firefox users in the U.S. next month, and Yahoo users globally in early 2015, it said.